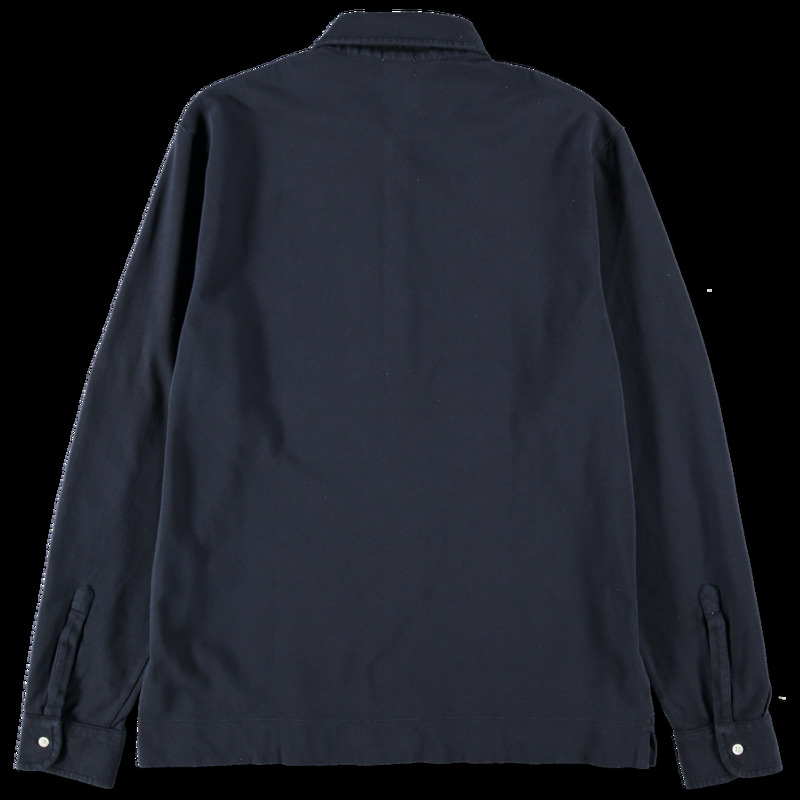 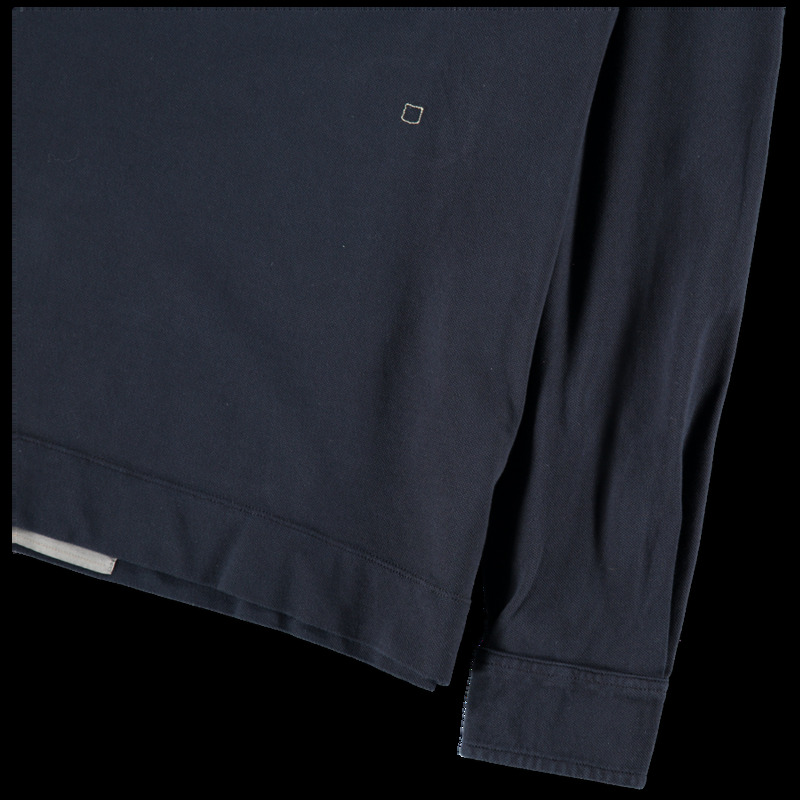 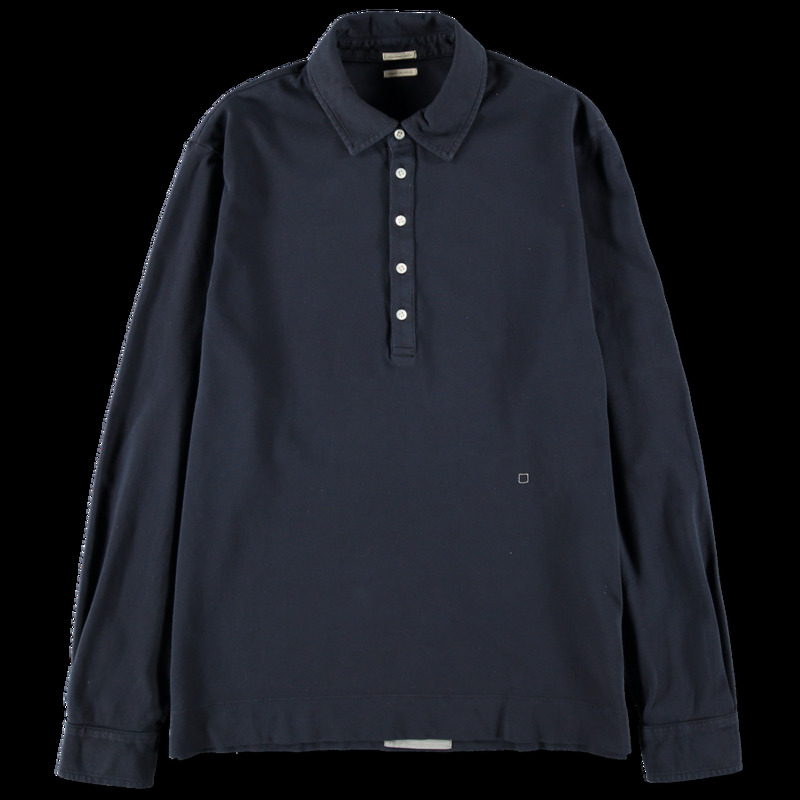 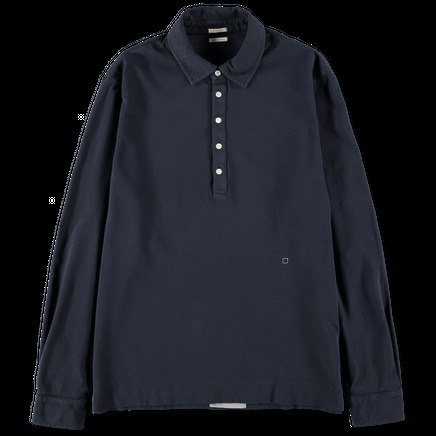 Longsleeve polo in a stretch cotton pique fabric. 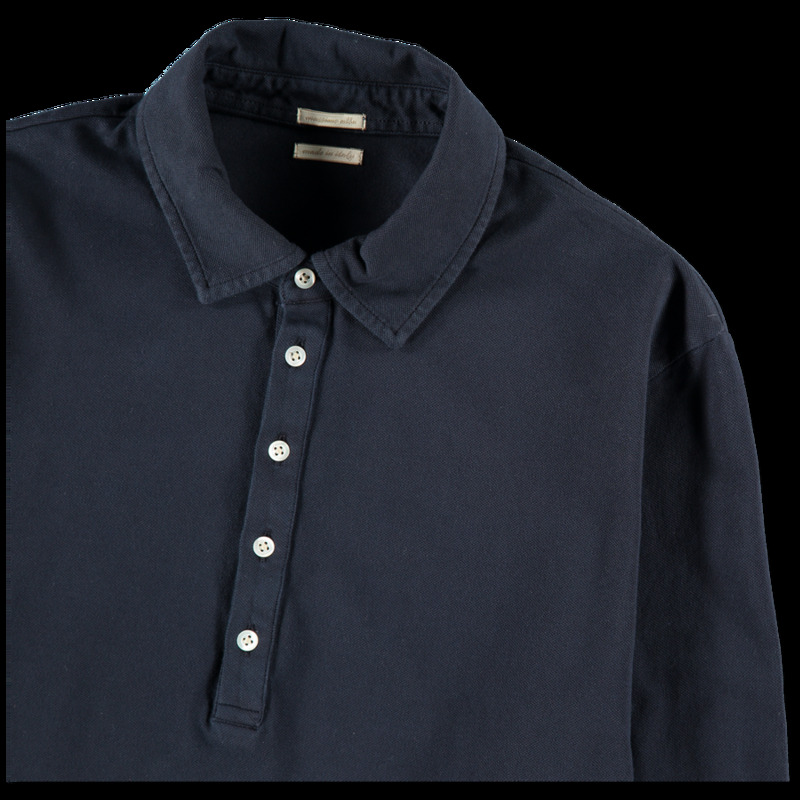 Five button placket, regular collar, buttoned cuff and side slits. Small embroidered shield on lower chest.